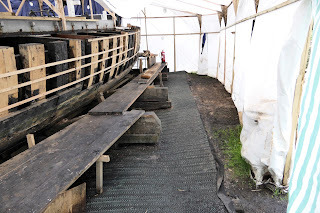 With shipwrights Shuggs and Josh away completing another job, the crew has taken the opportunity to clear out soggy shavings and scraps of timber from around under and in Shamrock and also a general tidying of the area ready for visitors. 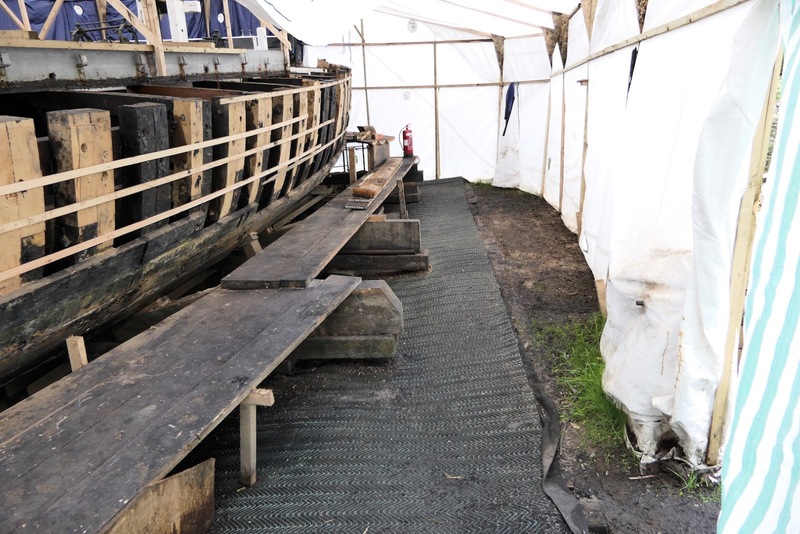 It's planned to build a scaffold walkway under her cover allowing visitors to see Shamrock's repairs progressing. 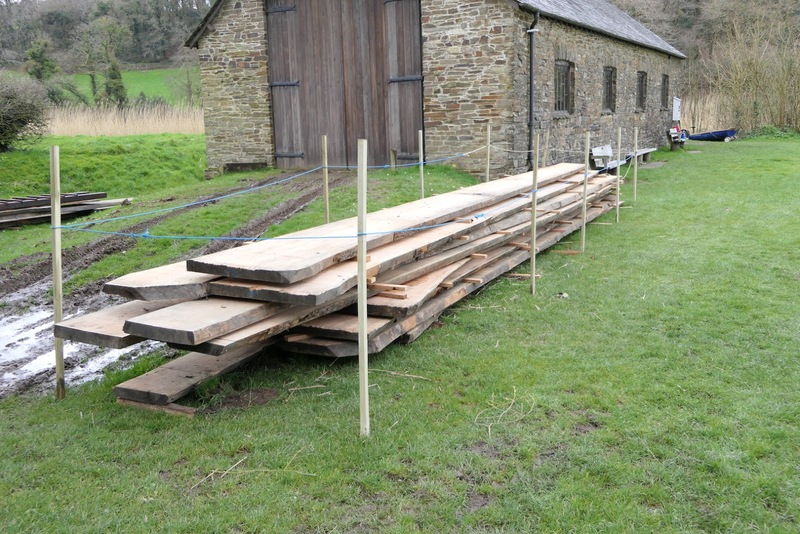 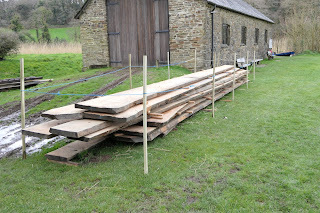 The wood that has been drying in the boat shed has now been moved out onto the quay allowing it to dry naturally and freeing up space in the boat shed. 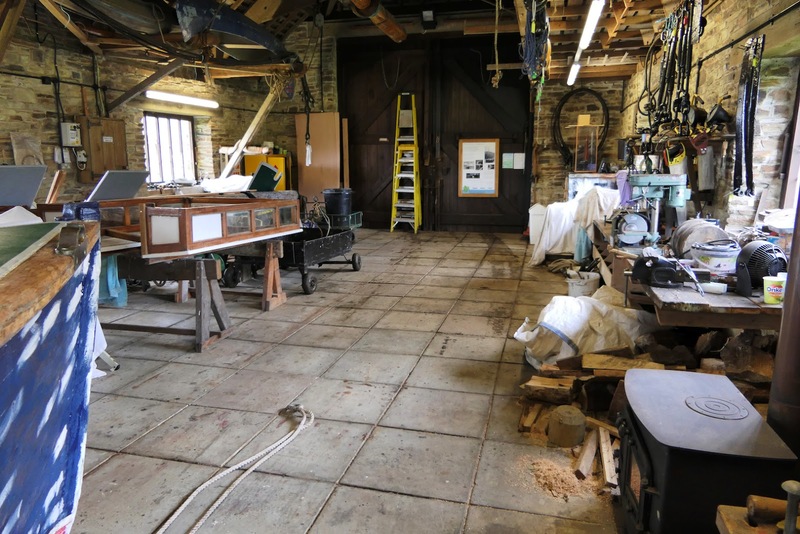 Some of that free space has already been taken up by ‘Nancy Belle’ ready for a quick coat of paint before her river trips start. She was due to be painted on the boat shed slipway but the weather had other ideas, too wet or too cold.